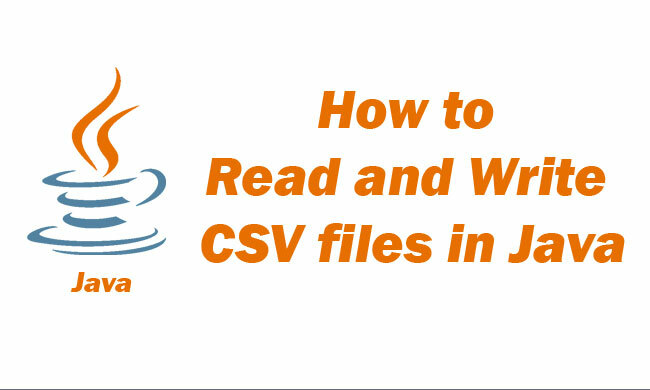 In this tutorial, we show you how to read and write CSV files in Java using FileReader and FileWriter with Eclipse IDE. Go to File-> New-> Others... Select Java Project under Java category then click Next. 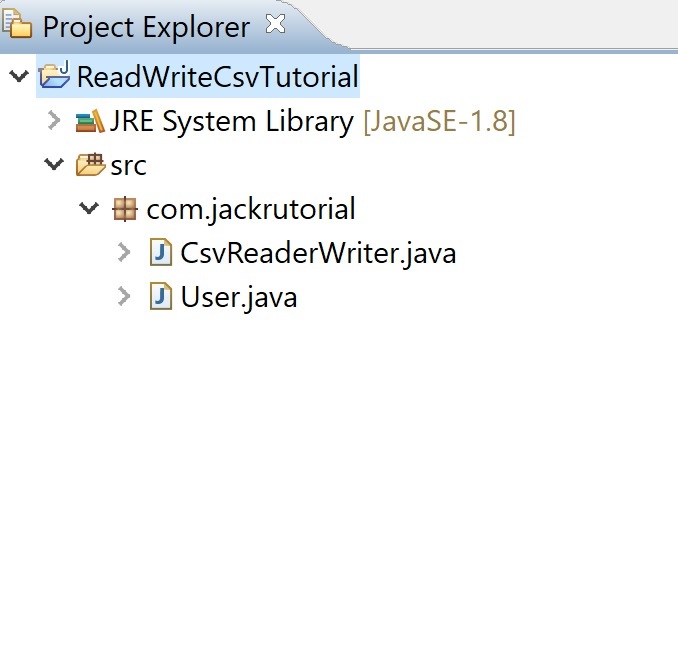 Create a User class under com.jackrutorial package and write the following code in it. Create a CsvReaderWriter class under com.jackrutorial package and write the following code in it. 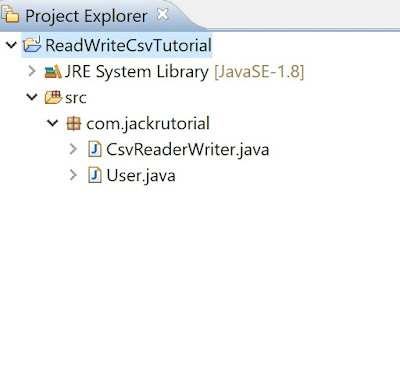 Right click to the class select Run As -> Java Application.